One of the things I have made an effort with as my kids got older is taking them on family trips. We have been to many places such as Yosemite, Seattle, San Francisco and Denver, Colorado. Many people ask “How do you go on so many trips?”. I will tell you, it takes a lot of planning because I am determined to make sure we stay within a budget. 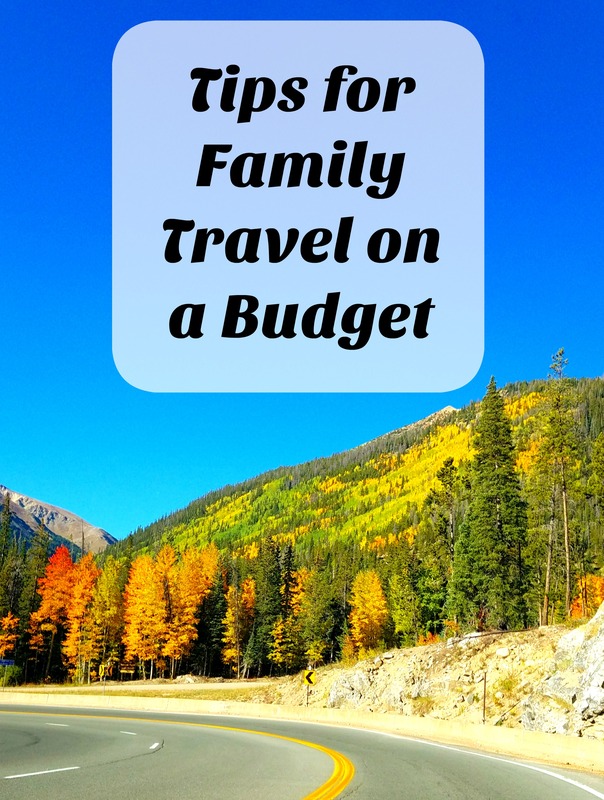 Below are my tips on how you can plan a family vacation on a budget. One of the things that always motivates me to start planning a trip is when I get an airline sale email. Make sure you get the latest e-newsletters of the airlines you use by signing up for their email lists. The airlines use these newsletters to give you deals that may not be available elsewhere. I have found $20 fares to Denver, Colorado and $30 fares to Chicago, IL! Check out my tips on finding low priced airfare. I love looking at people’s adventures on Instagram. I’ve been inspired to travel many places locally just by clicking on locally used hashtags. For Arizona the biggest hashtags are: #AZ365, #InstagramAZ #ArizonaCollective and #IGSouthwest. When you click on a hashtag and see a photo, check for the location and if there is one selected, it will pull up a map. A simple search will inspire you for your next vacation. You can either start by finding a place to visit or start a board for a destination you are already planning on visiting. Check out my board for travel inspiration! If you found a place you are interested in, the Trip Advisor app can help you figure out where the top rated places are to visit in that area. I also love reading Trip Advisor tips and reviews from reviewers. This is a great way to find cheap or free things to do in certain areas. The Trip Advisor app is a great way to find places near you by using the “Near Me Now” feature. The library is a great resource when researching places to go once you find where you want to go. I’m online all day so it’s nice to sit down and look at a book when planning. Looking for a book that you can take with you and mark up with your must-sees? Amazon is a great resource for that. We have purchased books for Yosemite and Disney so we could have them when we visit again. This is my favorite way to find restaurants to eat at. You can put in several filters like dollar signs if you are on a budget, sort by ratings, look by area etc. I love Hotels.com, they often offer sales or secret prices on certain hotels. They also have a loyalty program where if you stay 10 nights booked through Hotels.com, you’ll earn a free night. Keep an eye out for deals on Groupon in the area you are planning to visit. You can find things like hotels, restaurants and things to do. Make sure to perform sufficient research prior to booking any hotels, venues, etc. Look for review websites like Trip Advisor that have opinions on places you plan on visiting. Another great resource is Facebook. Ask for advice from friends who may have traveled to the destinations previously. Doing all the research you can will help you learn what to expect and what things to do after you arrive. After you land, stop at the grocery store. We always pick up things like snacks, bottles of water and easy to make lunches. If we are flying, we pick up a styrofoam ice chest and pack it with drinks, fruit and lunch meat. What are your favorite budget-friendly tips for vacations?